Even though we live close to San Francisco, the traffic usually makes it too much of a hassle to get to. This past Sunday, we woke up early to go meet up with our best human and canine friends. On the coast of the Pacific Ocean is a beautiful hiking and beach trail that is perfect for taking a restless pooch…or three. Fort Funston lives up to it’s name. 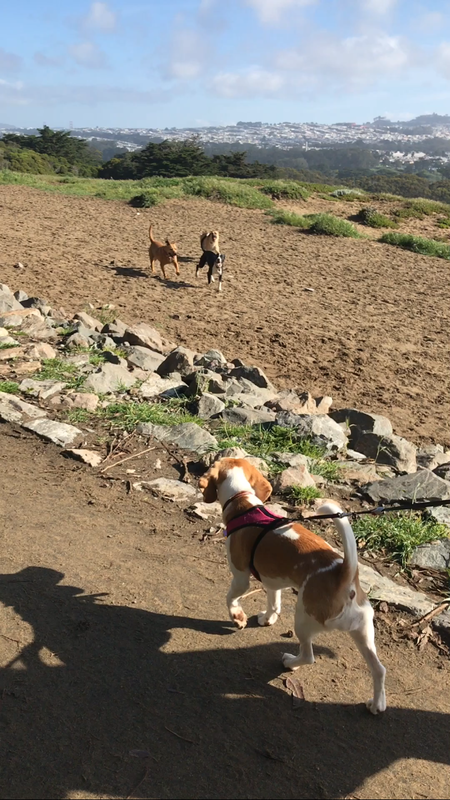 Sammich was nose to the ground the entire time except when she spotted her two besties – Daisy and Sadie. Daisy and Sadie are trustworthy enough to chase balls out to the horizon and come running back. Sammich…not so much. We have to keep her on a leash because there are too many steep cliffs and she can run way faster than us. She still managed to have the time of her life. From the parking lot arrival, to spotting her two friends, to all the new ones she made along the way. The sweeping ocean views weren’t so bad on these human eyes either. 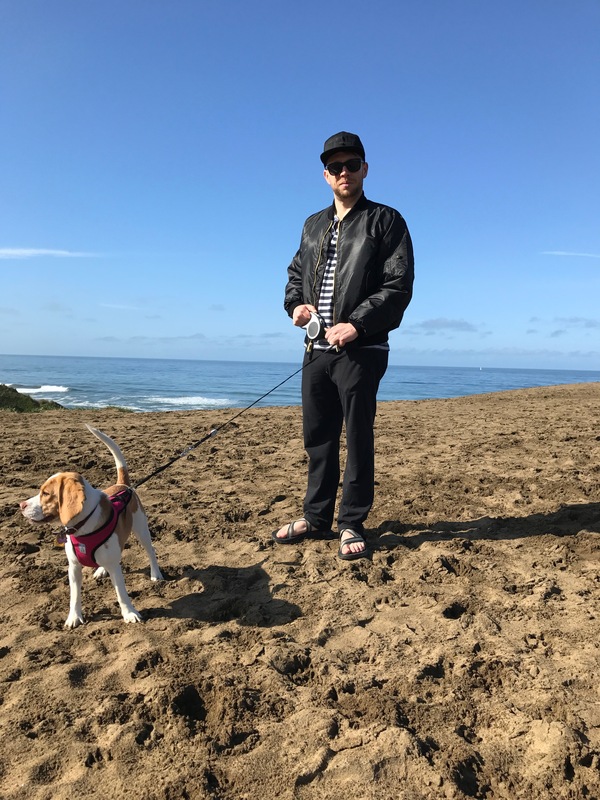 Fort Funston park is a great spot to take your pup in San Francisco. 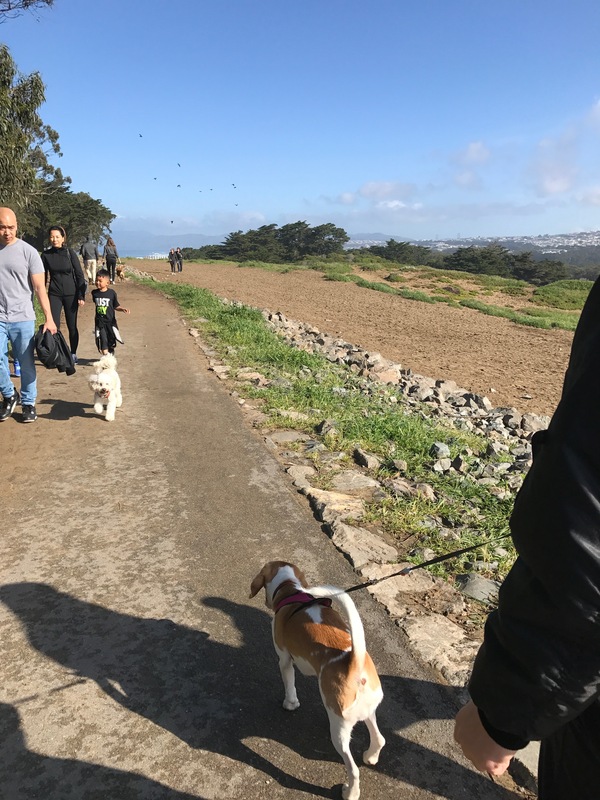 This entry was posted in Uncategorized, Where to go and tagged bay area, california, dog park, fort funston, san francisco by Mary Elizabeth Cobb. Bookmark the permalink.